Volkswagen Canada says it will add a sporty “R-Line” trim package to its new Atlas, a three-row crossover due to arrive later in 2017 the company confirmed late Thursday. The Atlas R-Line package will debut at the Detroit auto show next week, though it won’t be available at dealerships until later in the year, the company said. It will be an add-on to either of the crossover’s SE and SEL trim levels, the company said. 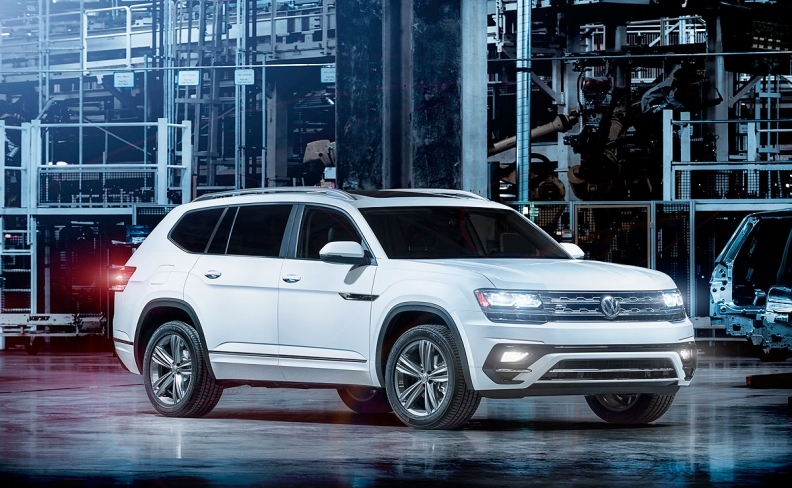 Volkswagen Canada said the details of the trim line may vary between Canada and the United States. "We are still finalizing the exact specs and content for Canadian vehicles. There may be some minor variations on our cars owing to consumer preference. More details are to be determined," VW Canada spokesman Thomas Tetzlaf said in an email to Automotive News Canada. The R-Line package in the United States includes 20-inch aluminum-allow twin-spoke wheels, a special front bumper with incorporated air intakes and a rear bumper with glossy black diffusor, special badging and side skirts. Inside, the R-Line package includes stainless steel sport pedal covers and R-Line logos that are incorporated into the steering wheel as well as the start screen of the Atlas’ infotainment system. VW said the R-Line package will be available for U.S. consumers choosing either the 235-hp turbocharged I-4 or the 276-hp naturally aspirated V-6 engine. Pricing for the R-Line package was not announced in Canada or the United States.